Seasonal or winter rental . Yearly rental is $1795.00 per month plus utilities Walking distance to the exciting town of Manchester with numerous restaurants and nightlife and spectacular shopping at your doorstep. 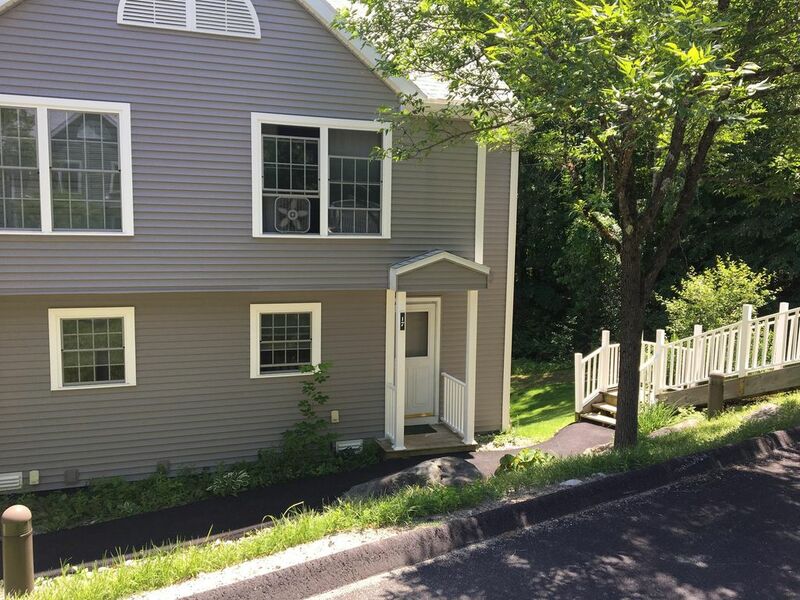 On the banks of the Battenkill River in the perfect Vermont town of Manchester, this pretty condo is so conveniently located. Walk to everything in minutes. Very near BBA. Spacious 3 story end unit condo with deck overlooking large back yard. 2 bedrooms, 2 1/2 baths living room with fireplace, dining area, kitchen and game room. First time offered. Brand new kitchen. We are just completing furnishings. Golf, tennis, swimming - all within minutes. In summer the area is a mix of artistic and athletic adventures.